I’m confident you know that you should keep wires and PCB tracks as short as possible. But I’m also sure that you will underestimate this problem fairly frequently. Remember that 1 cm of a 0.25-mm-wide PCB track is roughly equivalent to an inductance of 10 nH. If this 10 nH is paired with, say, a 10-pF capacitor, that gives a resonant frequency as low as 500 MHz, which is easily below the third or fifth harmonics of the clock frequencies commonly seen on modern high-speed digital boards. Similarly, a 1-cm-long track will jeopardize the performances of any RF system such as a 2.4-GHz transceiver. There is only one solution: keep tracks and wires as short as possible. If you can’t, then use impedance-matched tracks. 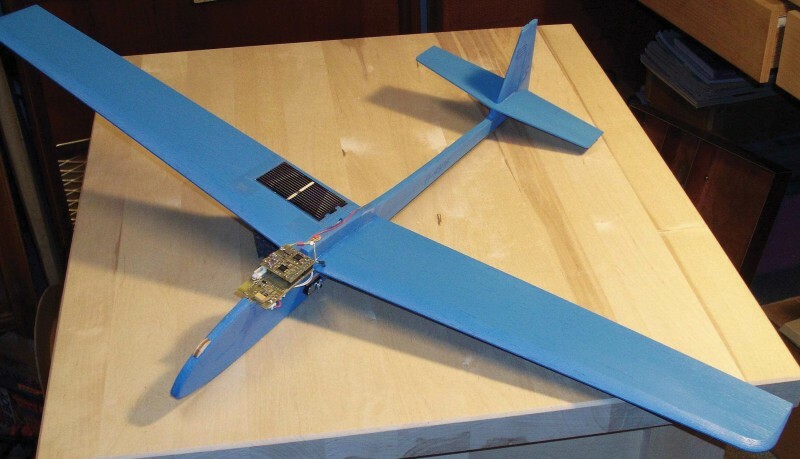 Remember this rule especially for the ground connections: any grounded pad of any part working in high frequencies should be directly connected by avia to the underlying ground plane. And this via must be as close as possible to the pad, not some millimeters away. Just yesterday I did a design review of a customer’s RF PCB. A small 0402 inductance was grounded through a via that was 3 mm away. It was a bad idea because the inductance was as low as 1 nH. Those 3 mm changed its value completely.—Robert Lacoste, “Mixed-Signal Designs,” CC25:25th Anniversary Issue, 2013. 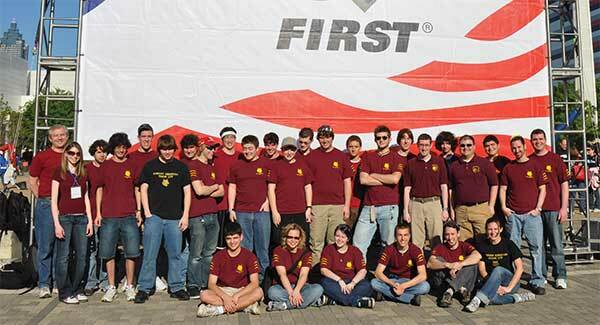 NAN: You mentor a FIRST (For Inspiration and Recognition of Science and Technology) robotics team for a local high school. How did you become involved? PETER: I became involved in FIRST in late 2002 when one of my fraternity brothers who I worked with at the time mentioned that FIRST was looking for new mentors to help the team the company sponsored. I was working at what was then known as UTC Power (sold off to ClearEdge Power Systems last year) and the company had sponsored Team 177 Bobcat Robotics since 1995. After my first year mentoring the kids and experiencing the competition, I got hooked. I loved the competition and strategy of solving a new game each year and designing and building a robot. I enjoyed working with the kids, teaching them how to design and build mechanisms and strategize the games. 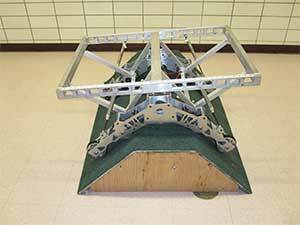 The FIRST team’s 2010 robot is shown. 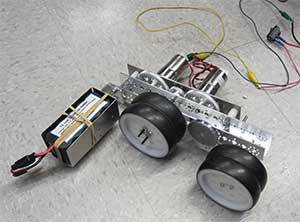 A robot’s articulating drive train is tested on an obstacle (bump) at the 2010 competition. NAN: What types of robots has your team built? 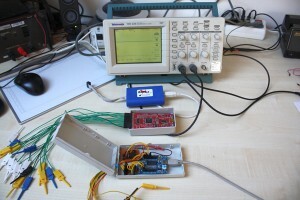 A temporary control board was used to test the drive base at the 2010 competition. PETER: Every robot we make is purposely built for a specific game the year we build it. The robots have varied from arm robots with a 15’ reach to catapults that launch a 40” diameter ball, to Frisbee throwers, to Nerf ball shooters. They have varied in drive train from 4 × 4 to 6 × 6 to articulating 8 × 8. Their speeds have varied from 6 to 16 fps. 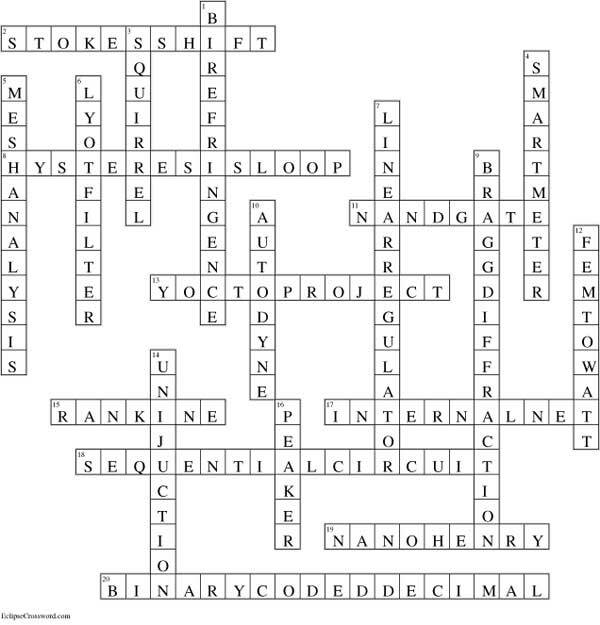 NAN: What types of products do you use to build the robots? Do you have any favorites? 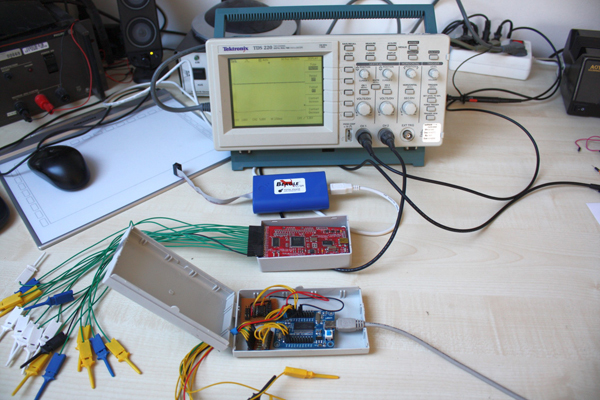 PETER: We use a variant of the Texas Instruments (TI) cRIO electronics kit for the controller, as is required per the FIRST competition rules. The motors and motor controllers we use are also mandated to a few choices. 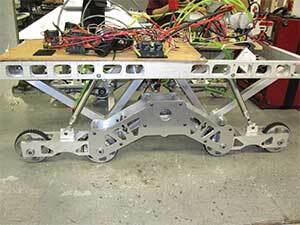 We prefer VEX Robotics VEXPro Victors, but we also design with the TI Jaguar motor controllers. For the last few years, we used a SparkFun CMUcam webcam for the vision system. 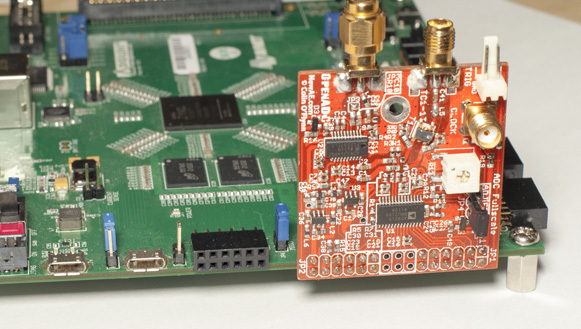 We build with Grayhill encoders, various inexpensive limit switches, and gyro chips. The team designed a prototype minibot. For pneumatics we utilize compressors from Thomas and VIAIR. Our cylinders are primarily from Bimba, but we also use Parker and SMC. For valves we use SMC and Festo. We usually design with clipart plastic or stainless accumulator tanks. 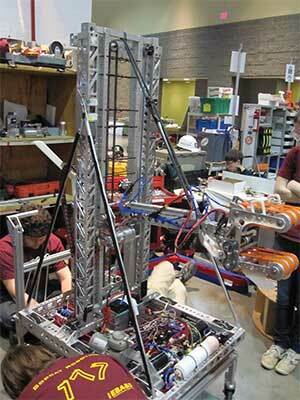 Our gears and transmissions come from AndyMark, VEX Robotics’s VEXPro, and BaneBots. The AndyMark shifter transmissions were a mainstay of ours until last year when we tried the VEXPro transmissions for the first time. Over the years, we have utilized many of the planetary transmissions from AndyMark, VEX Robotics, and BaneBots. We have had good experience with all the manufacturers. BaneBots had a shaky start, but it has vastly improved its products. We have many other odds and ends we’ve discovered over the years for specific needs of the games. Those are a little harder to describe because they tend to be very specific, but urethane belting is useful in many ways. NAN: Has your team won any competitions? PETER: My team is considered one of the most successful in FIRST. 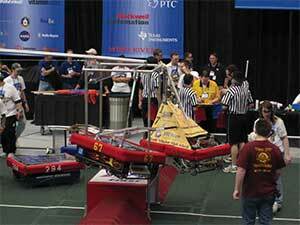 We have won four regional-level competitions. We have always shined at the competition’s championship level when the 400 teams from the nine-plus countries that qualify vie for the championship. In my years on the team, we have won the championship twice (2007 and 2010), been the championship finalist once (2011), won our division, made the final four a total of six times (2006–2011), and were division finalists in 2004. A FIRST team member works on a robot “in the pits” at the 2011 Hartford, CT, regional competition. Team 177 was the only team to make the final four more than three years in a row, setting the bar at six consecutive trips. It was also the only team to make seven trips to the final four, including in 2001. 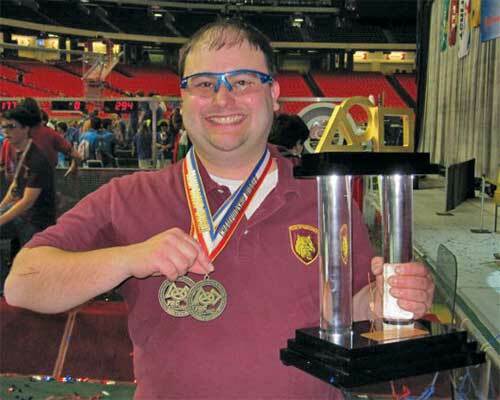 PETER: I am a Senior Project Engineer at Pratt & Whitney. 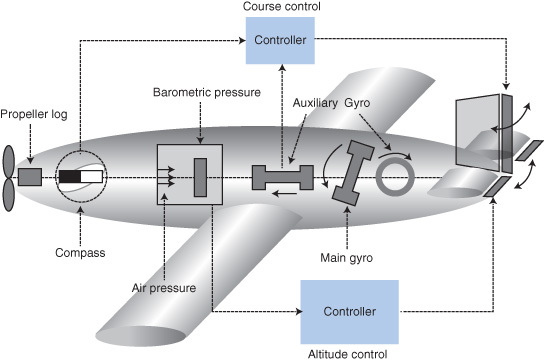 I oversee and direct a team of engineers designing components for commercial aircraft propulsion systems. NAN: How and when did you become interested in robotics? PETER: I have been interested in robotics for as long as I can remember. The tipping point was probably when I took an industrial robotics course in college. That was when I really developed a curiosity about what I could do with robots. The industrial robots course started with basic programming robots for tasks. We had a welding robot we taught the weld path and it determined on its own how to get between points. We also worked with programming a robot to install light bulbs and then determine if the bulbs were working properly. In addition to practical labs such as those, we also had to design the optimal robot for painting a car and figure out how to program it. We basically had to come up with a proposal for how to design and build the robot from scratch. 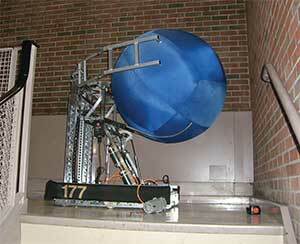 This robot from the 2008 competition holds a 40” diameter ball for size reference. NAN: What advice do you have for engineers or students who are designing robots or robotic systems? PETER: My advice is to clearly set your requirements at the beginning of the project and then do some research into how other people have accomplished them. Use that inspiration as a stepping-off point. From there, you need to build a prototype. I like to use wood, cardboard, and other materials to build prototypes. After this you can iterate to improve your design until it performs exactly as expected. The MCP3913 and the MCP3914 are Microchip Technology’s next-generation family of energy-measurement analog front ends (AFEs). The AFEs integrate six and eight 24-bit, delta-sigma ADCs, respectively, with 94.5-dB SINAD, –106.5-dB THD, and 112-dB Spurious-Free Dynamic Range (SFDR) for high-accuracy signal acquisition and higher-performing end products. The MCP3914’s two extra ADCs enable the monitoring of more sensors with one chip, reducing its cost and size. The programmable data rate of up to 125 ksps with low-power modes enables designers to scale down for better power consumption or to use higher data rates for advanced signal analysis (e.g., calculating harmonic content). The MCP3913 and the MCP3914 improve application performance and provide flexibility to adjust the data rate to optimize each application’s rate of performance vs power consumption. The AFEs feature a CRC-16 checksum and register-map lock, for increased robustness. 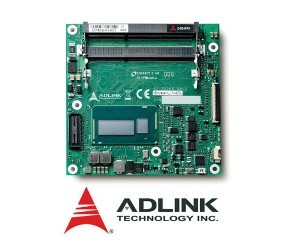 Both AFEs are offered in 40-pin uQFN packages. 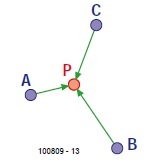 The MCP3913 adds a 28-pin SSOP package option. The MCP3913 and the MCP3914 AFEs cost $3.04 each in 5,000-unit quantities. 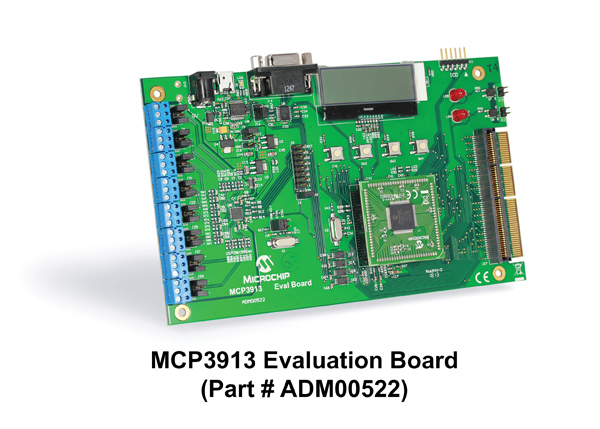 Microchip Technology also announced the MCP3913 Evaluation Board and the MCP3914 Evaluation Board, two new tools to aid in the development of energy systems using these AFEs. Both evaluation boards cost $99.99. 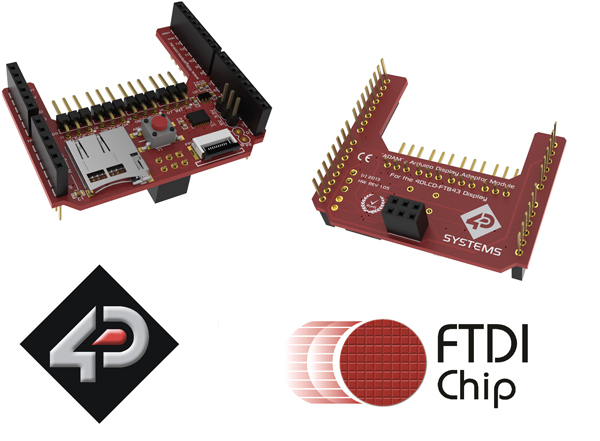 4D Systems and Future Technology Devices International Limited (FTDI) (aka, FTDI Chip) recently introduced the 4DLCD-FT843. The intelligent display solution incorporates FTDI Chip’s FT800 Embedded Video Engine (EVE) with the subsequent introduction of two additional products. This combined product gives design engineers a foundation on which to quickly and easily construct human-machine interfaces (HMIs). The first of these products is the ADAM (Arduino Display Adaptor Module). This 47.5-mm × 53.4-mm Arduino-compatible shield permits communication between the Arduino via the SPI. The shield is suitable for use with Arduino Uno, Due, Duemilanove, Leonardo, Mega 1280/2560, and Pro 5V. The shield’s micro-SD card provides the Arduino-based display system with ample data storage. The 4DLCD-FT843 can use the micro-SD card to retrieve objects (e.g., images, sounds, fonts, etc.). 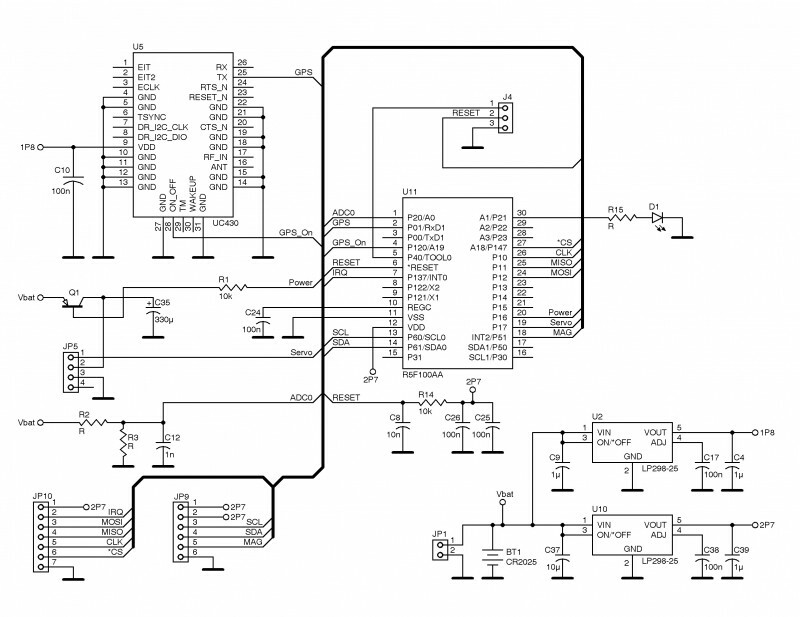 Drawing power from the Arduino’s 5-V bus, the ADAM regulates the 4DLCD-FT843’s supply to 3.3 V. The FT800 EVE controller can handle many of the graphics functions that would otherwise need to be managed by the Arduino. The ADAM is complemented by the 4DLCD-FT843-Breakout. With a 26.5-mm × 12-mm footprint, this simple breakout module enables the 4DLCD-FT843 to be attached to a general host or breadboard for prototyping purposes. 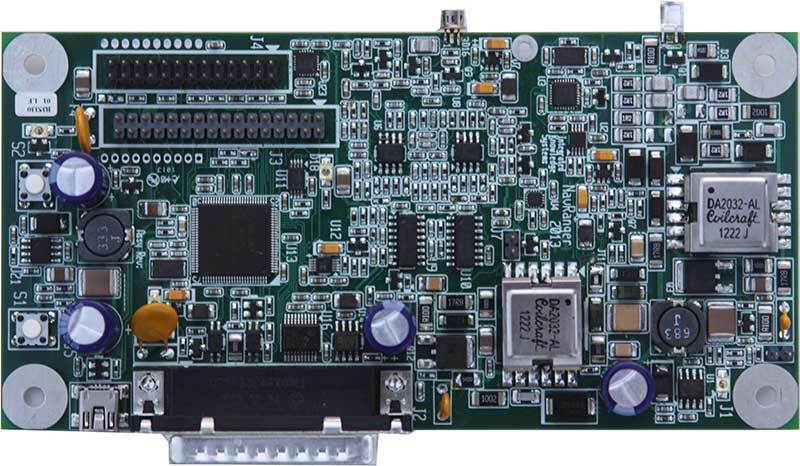 It features a 10-way FPC connection for attachment with the 4DLCD-FT843 along with a 10-way, 2.54-mm pitch male pin header that enables it to directly connect to the host board. 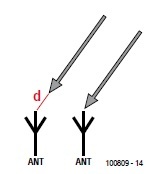 Both products support a –10°C-to-70°C operational temperature range. 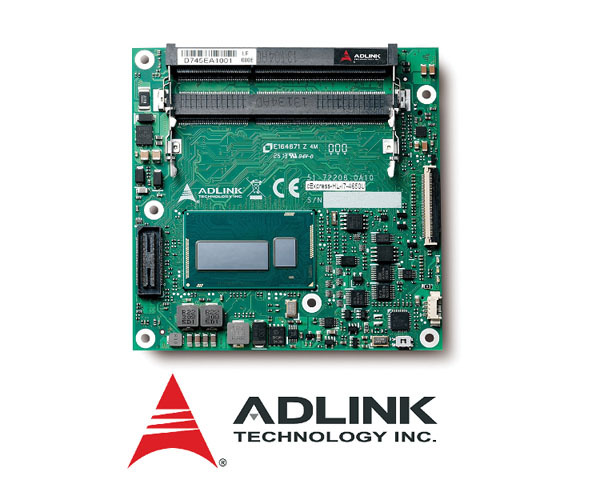 The EVE-driven 4DLCD-FT843 has a 4.3” TFT QWVGA display with a four-wire resistive touchscreen. It features a 64-voice polyphonic sound synthesizer, a mono PWM audio output, a programmable interrupt controller, a PWM dimming controller for the display’s backlight, and a flexible ribbon connector. Contact 4D Systems or FTDI Chip for pricing. 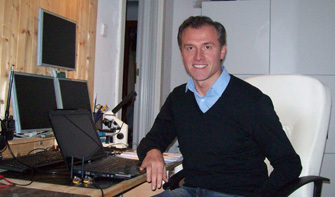 Tauraso, who wrote his first Assembler code in the 1980s for the Sinclair Research ZX Spectrum PC, now works on developing firmware for network devices and microinterfaces for a variety of European companies. 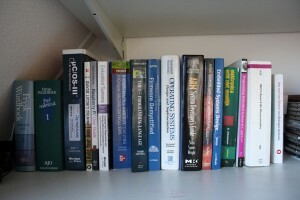 Several of his articles and programming courses have been published in Italy, France, Spain, and the US. 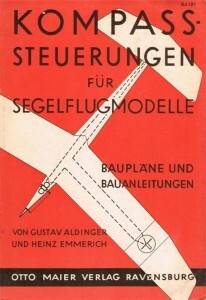 Three of his articles have appeared in Circuit Cellar since 2008. 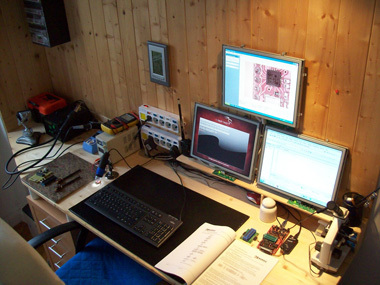 Photo 1: This workstation is neatly divided into a soldering/assembling area on the left and a developing/programming area on the right. Tauraso keeps an orderly and, most importantly, quiet work area that helps him stay focused on his designs. This is my “magic” designer workspace. It’s not simple to make an environment that’s perfectly suited to you. When I work and study I need silence. I am a software engineer, so during designing I always divide the work into two main parts: the analysis and the implementation. 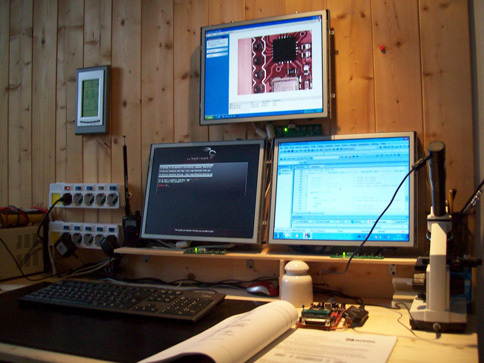 I decided, therefore, to separate my workspace into two areas: the developing/programming area on the right and the soldering/assembling area on the left (see Photo 1). When I do one or the other activity, I move physically in one of the two areas of the table. Assembling and soldering are manual activities that relax me. 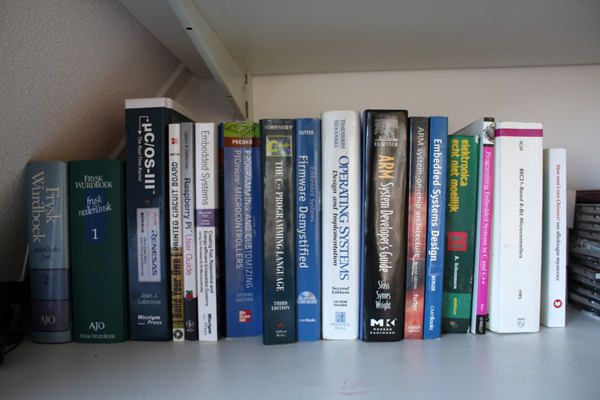 On the other hand, programming often is a rather complex activity that requires a lot more concentration. Photo 2: The marble slab at the right of Tauraso’s assembling/soldering area protects the table surface. The optical inspection camera nearby helps him work with tiny ICs. 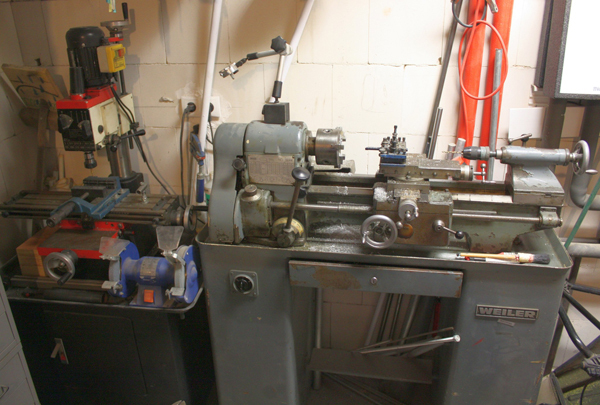 The assembling/soldering area is carefully set up to keep all of Tauraso’s tools within easy reach. I fixed a marble slab square on the table to solder without fear of ruining the wood surface (see Photo 2). 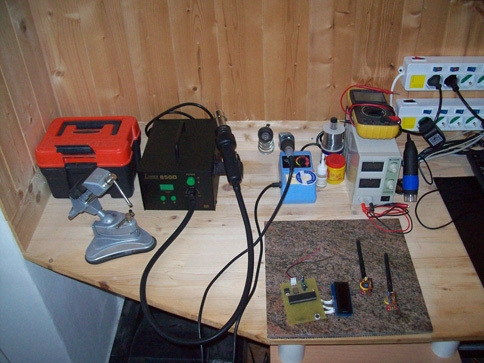 As you can see, I use a hot-air solder station and the usual iron welder. Today’s ICs are very small, so I also installed a camera for optical inspection (the black cylinder with the blue stripe). On the right, there are 12 outlets, each with its own switch. Everything is ready and at your fingertips! The workspace’s developing and programming area makes it easy to multitask (see Photo 3). In the foreground you can see a network of three small computers that I call “the little Hydra” in honor of the object-based OS developed at Carnegie Mellon University in Pittsburgh, PA, during the ’70s. 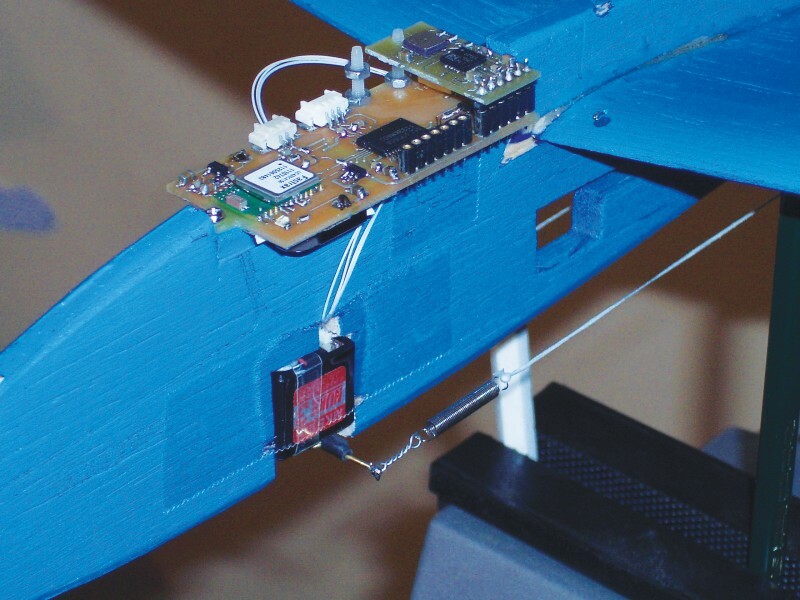 The HYDRA project sought to demonstrate the cost-performance advantages of multiprocessors based on an inexpensive minicomputer. I used the same philosophy, so I have connected three Mini-ITX motherboards. 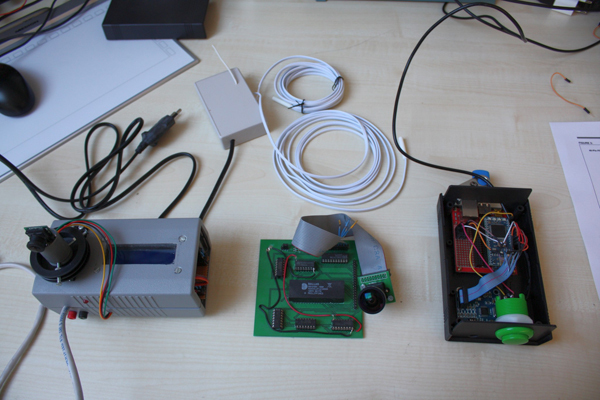 Here I can test network programming with real hardware—one as a server, one as a client, one as a network sniffer or an attacker—while, on the other hand, I can front-end develop Windows and the [Microchip Technology] PIC firmware while chatting with my girlfriend. 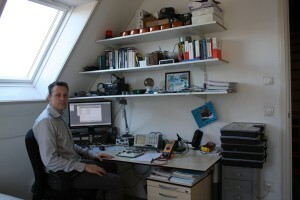 Senior software engineer Tauraso has created a quiet work area with all his tools close at hand. Circuit Cellar will be publishing Tauraso’s article about a wireless thermal monitoring system based on the ANT+ protocol in an upcoming issue. In the meantime, you can follow Tauraso on Twitter @CarloTauraso. 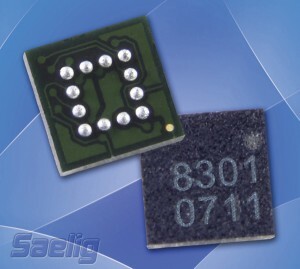 The IST8301C is a single-chip three-axis digital magnetometer sensor that is housed in a 2.5-mm × 2.5-mm × 1-mm, 12-pin ball-grid array (BGA) package. 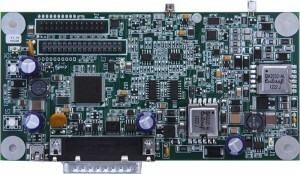 The integrated chip includes three-axis magnetic sensors with an ASIC controller. The IST8301C outputs 13-bit data over a ±1,000-µT magnetic field range in a fast-mode 400-kHz I2C digital output. The compact form factor is easily surface mounted and is well suited for high-volume production consumer electronics, navigation systems, and magnetometers. The IST8301C embeds 32 slots of 16-bit first in, first out (FIFO) data for each of three output channels X, Y, Z. 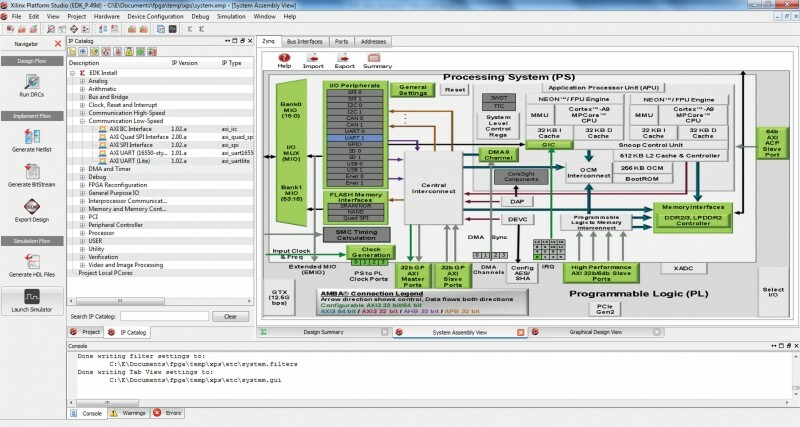 Since the host processor does not need to continuously read data from a sensor, the FIFO’s “wake up only as needed” operation enables consistent system-power saving. 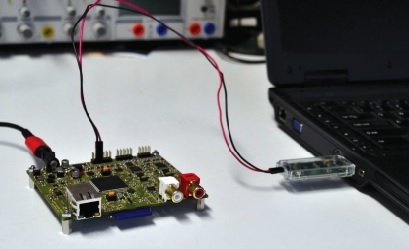 Functioning on 2.4 V with a 10-uA standby current and full operation at 300 uA, increased battery life can be attained in many portable applications. The IST8301C offers a ±1° heading accuracy and a ±10-gauss magnetic field range. The sensor includes anti-offset and anti-temperature to help eliminate errors caused by temperature and factory mismatch.